Michele Rossi, il secondo da sinistra. Michele Rossi, 36, born in Citta Di Castello, got into the publishing world at a young age, via a Master’s degree and various other ventures, after which he joined Rizzoli where he is now Head of Italian Fiction. In a world where the youth of today is often debated, his journey is one of success, awards and above all, passion. It was a pleasure to speak with him about his success. Let’s not talk about luck! How did you do it? “I came to Rizzoli 11 years ago where I initially worked with draft copies. Publishing is a kind of rough art form, where you need to get your hands dirty, be humble and middle of the road. I think this prepared me for the opportunity to bring new authors to the company. Luck exists, but we shouldn’t forget the hard work and instincts that are involved. Training then teaches you to be impartial in your selections. Raffaele Crovi talks about the “editorial imagination”, which is what I aimed to achieve. 2013 was an important year. 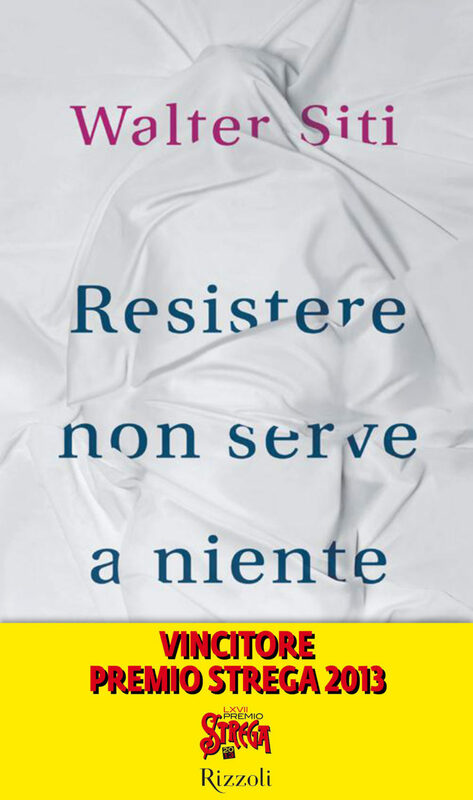 Walter Siti, author loved by the critics, won the Strega award with ”Resistere non serve niente”, a complex novel, and one not aimed at the general public. Has the distance between what’s considered ‘high’ literature and more everyday writing been reduced with this award? I don’t believe that everyday writing exists anymore; it’s more shattered, untouchable than that. Siti has written one of the most important novels of our time. For him to win the Stega prize, reaching the general public was just right. There has recently been a report on how many Italians read, with figures that are worrying. Only 46% have read a book in the last year. Why do you think this figure is so low? Is it the publishing houses responsibility to improve this? It is the responsibility of schools, universities, and governments to stimulate reading activities that should be “normal.” Only half of the country reads, so the publishers’ responsibility is to make the best books available. Unfortunately the market lost almost 5% in 2013, although luckily for Rizzoli Italian fiction has doubled its share of the market. Do you think the digital age may have influenced these figures, distracting people from reading a printed book? Digital literature should be complementary. It has 3% of the market, if it grows then we all win. Do you ever feel under pressure when you’re making a decision about whether a book is the ‘right one’? It’s a massive responsibility. Sometimes when I think about it I can’t sleep at night. 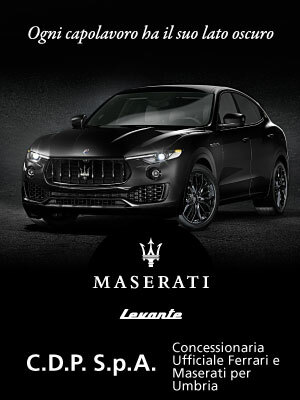 You have published the likes of Silvia Avallone, Irene Cao, Abbadessa Bresciani. Do you think that you somehow influence the market with your tastes? I believe that a successful book intercepts a latent taste and, perhaps the spirit of the times. The really successful books, however, shift the centre of gravity and balance. You have on your books Carofiglio e Giancarlo di Cataldo; any new names for 2014? Being an established editor is a massive accomplishment for you. Do you have any other ‘risks’ you would like to take? 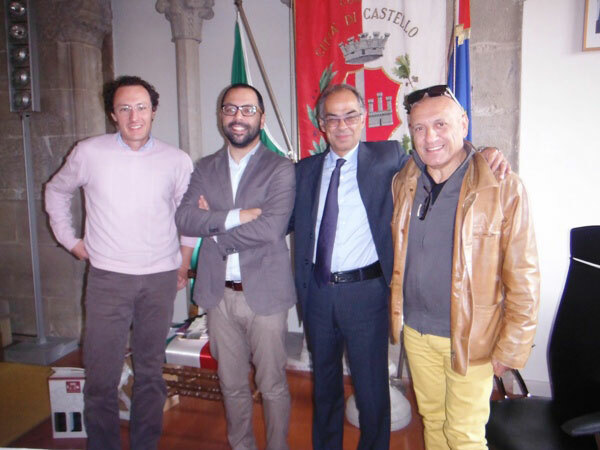 Have you ever thought of a project that could involve Città di Castello? Taking you back to your origins? I‘d like to a lot. I was moved when the town gave me the prize for Tifernate di talento. It meant a lot to me. Living at a distance can cause a strange mixture of both sadness and clarity; you’ve been living in Milan a long while now. Is there anything that you still like about Città di Castello and or anything you would criticise? Città di Castello is and always will be my home, my roots are here. I’d like to see more life to the place but there are new projects in place like CaLibro by the Associazione Fondino! Maybe it’s a romantic notion, but can the trades allied to literature still survive in 2014 – do you know what the mechanisms for that would be? Romantic and cynical ones, hopefully we will manage. Can literature still make us dream? Can I not answer that?